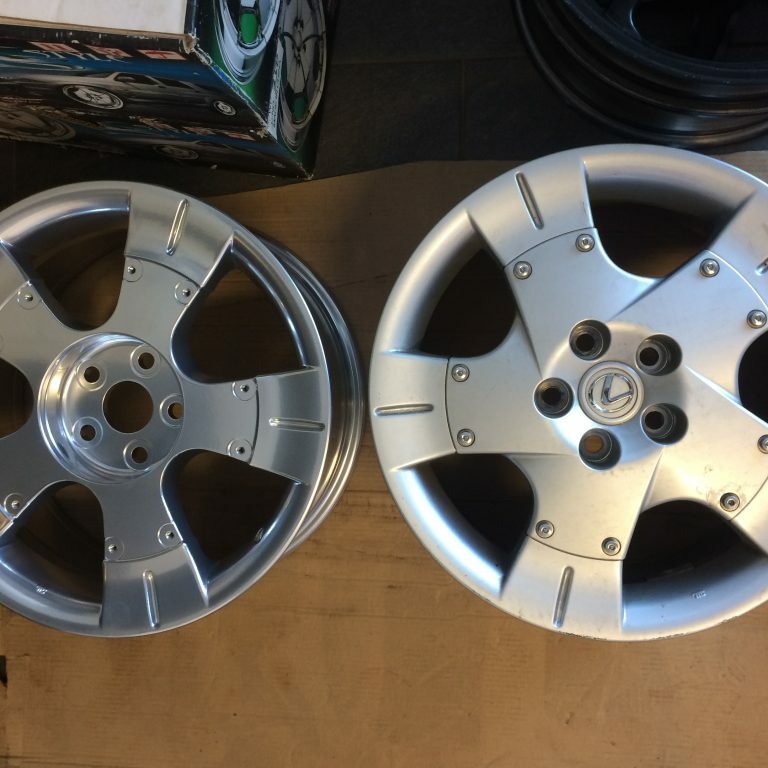 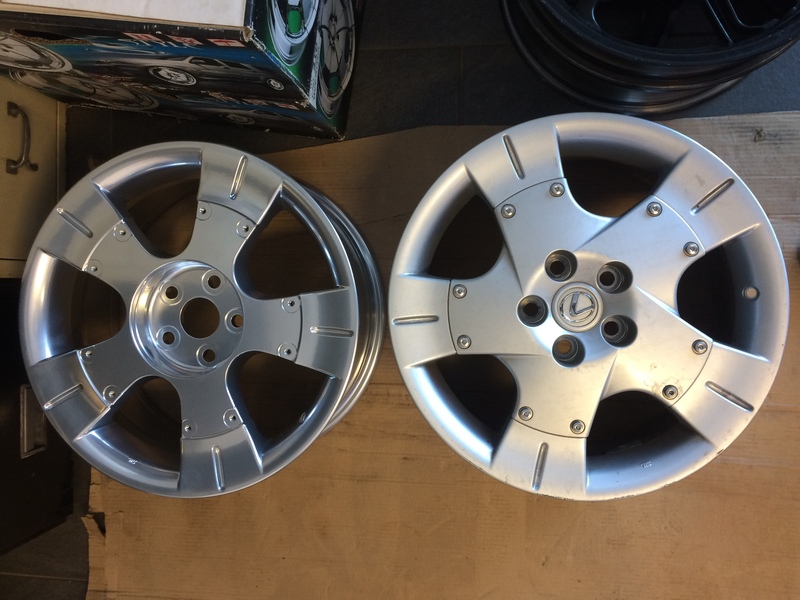 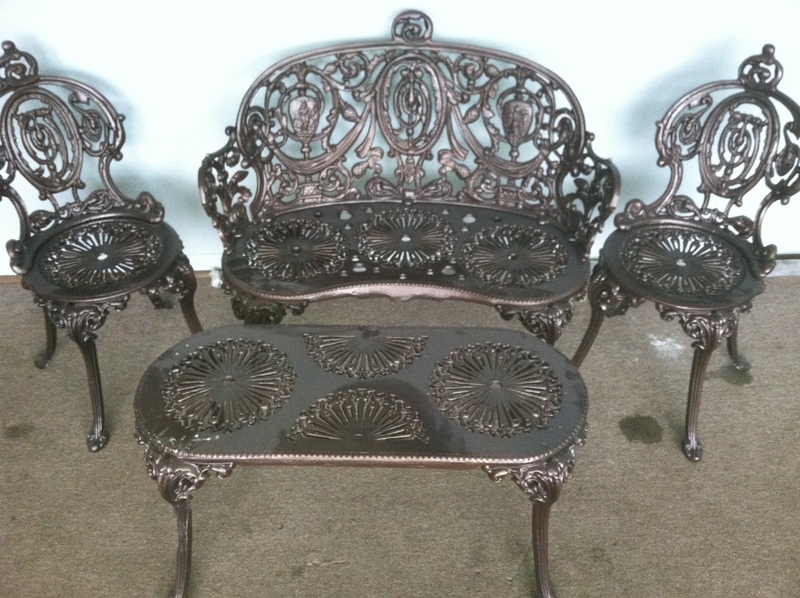 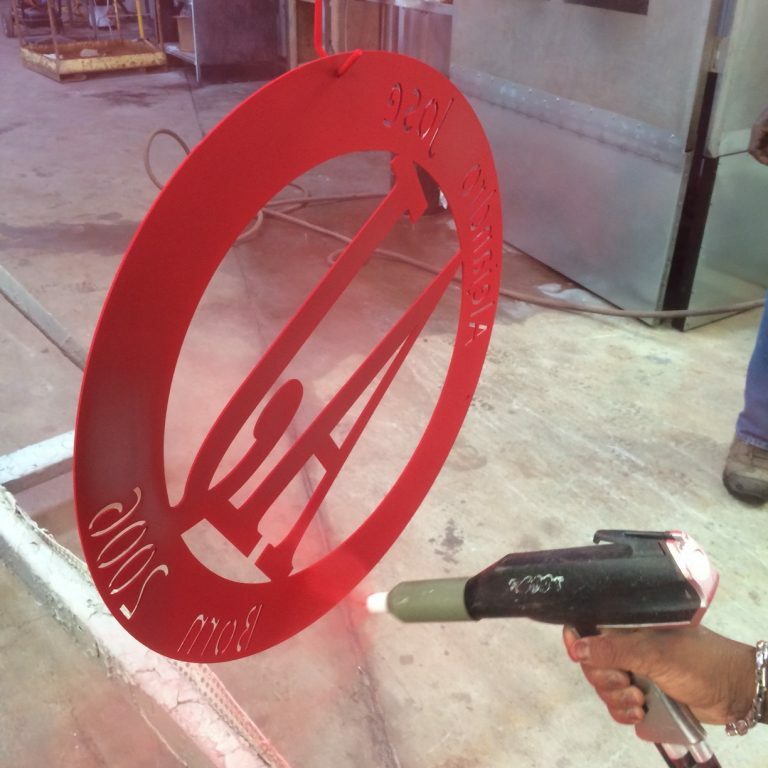 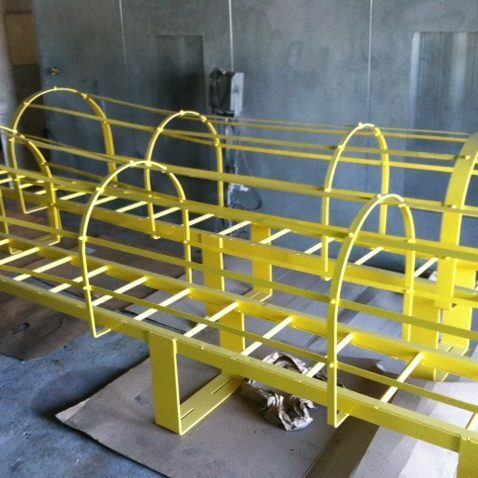 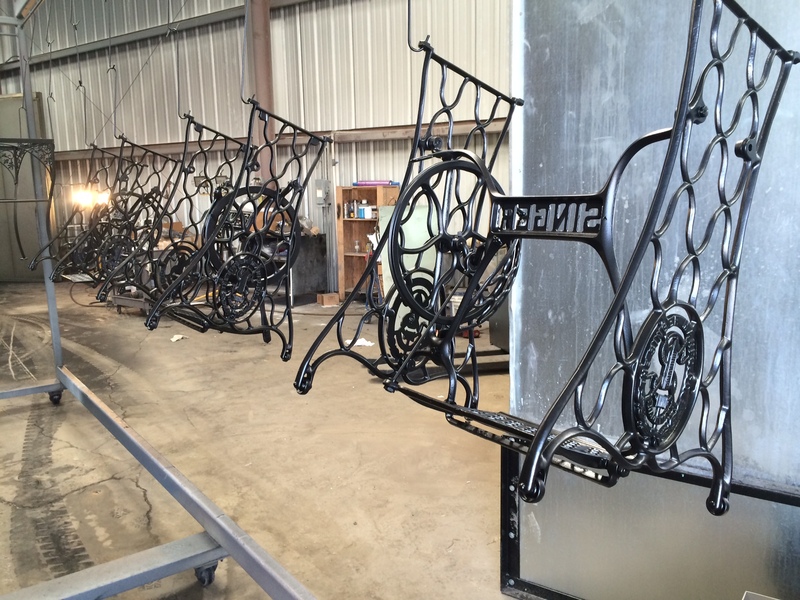 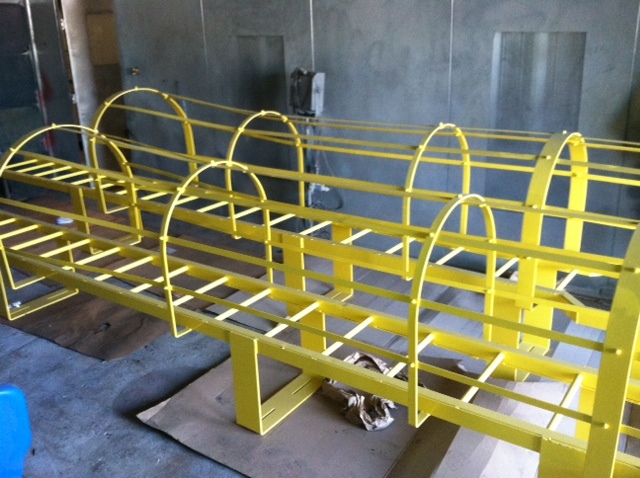 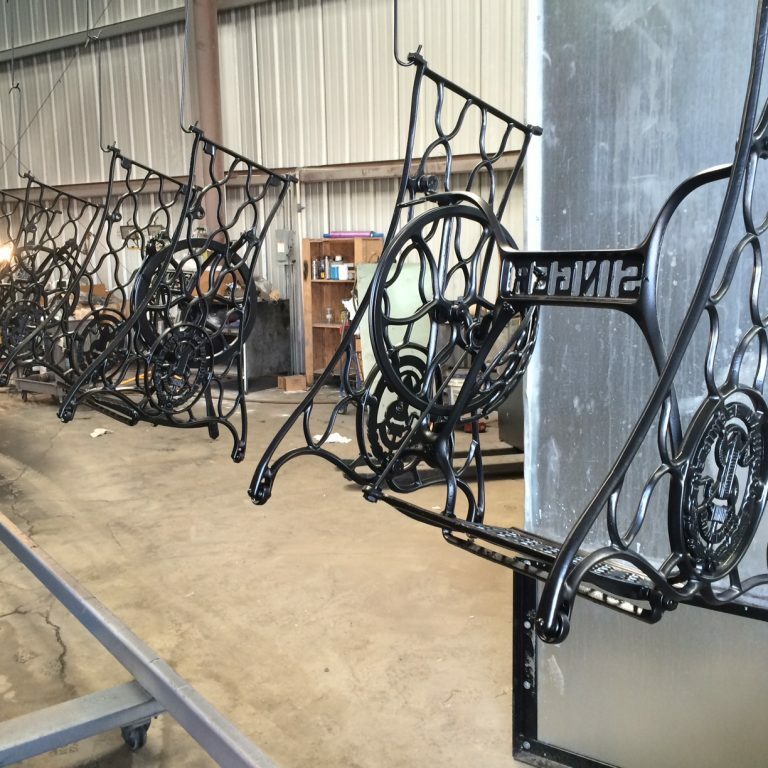 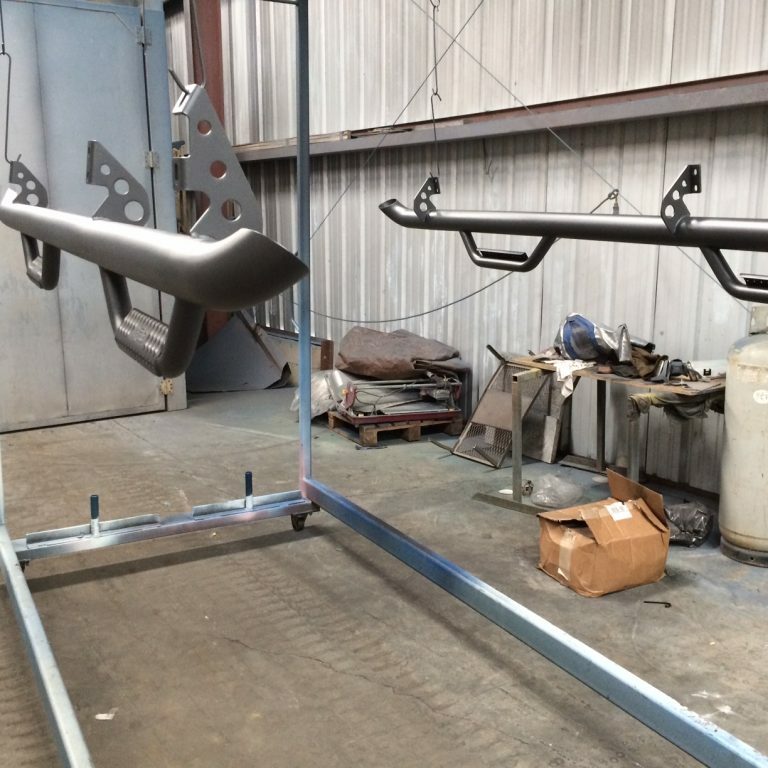 At Augusta Powder Coat & Metal Restoration, we are experts in restoring worn metal that has been damaged due to inclement weather or years of use. 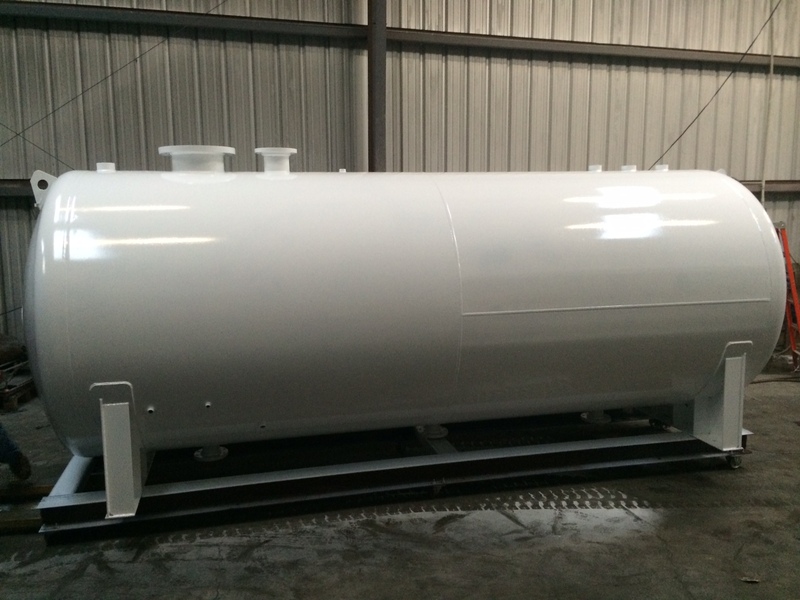 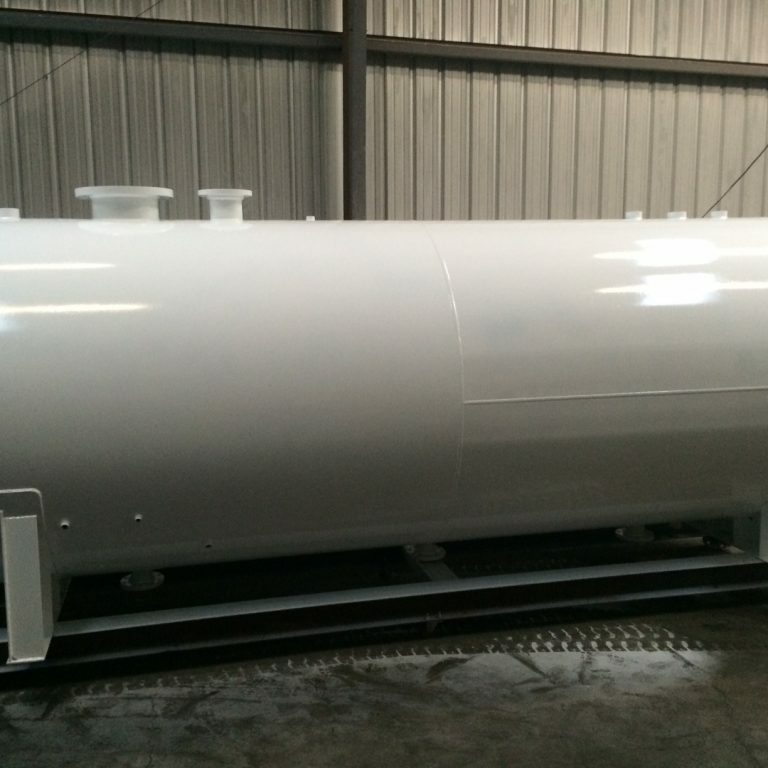 Industrial boiler restored to a beautiful white finish. 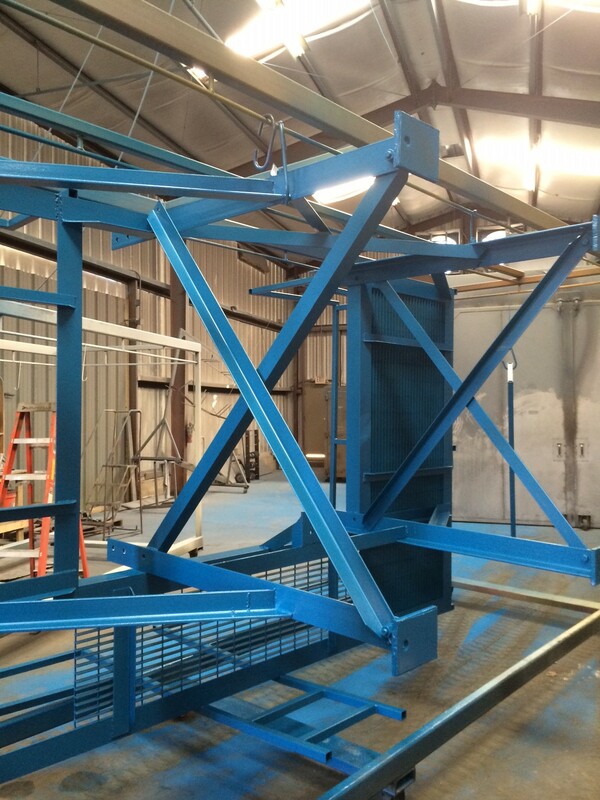 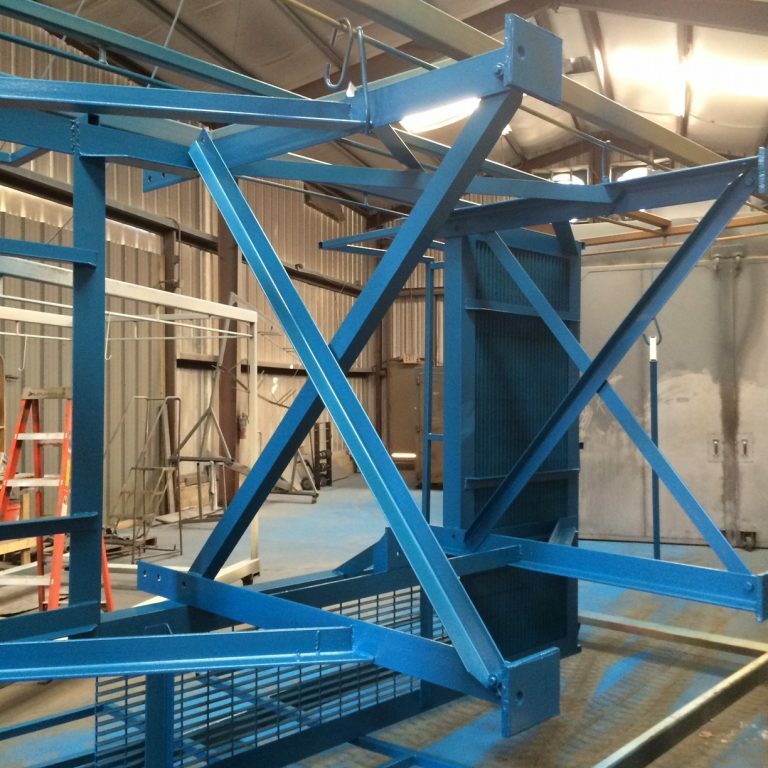 It will be placed at an industrial facility. 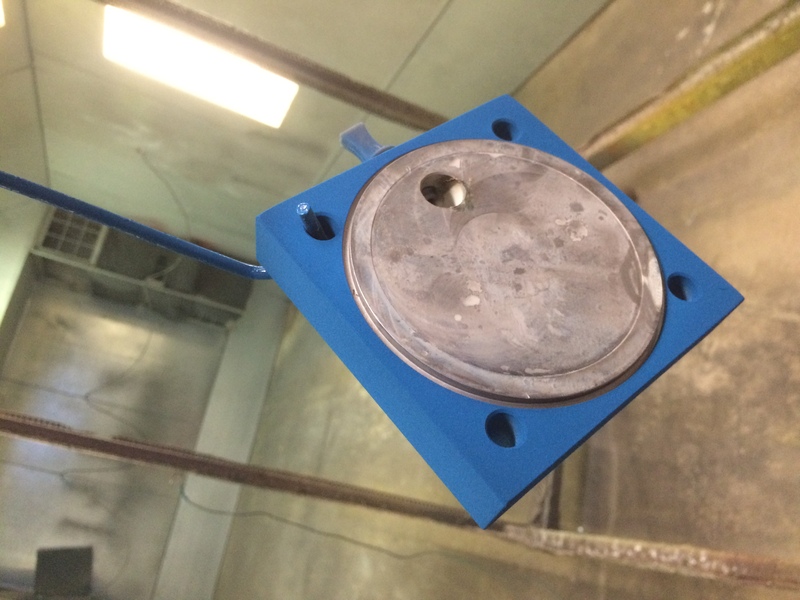 This is a part that has been shot with powder moment's before going into the oven. 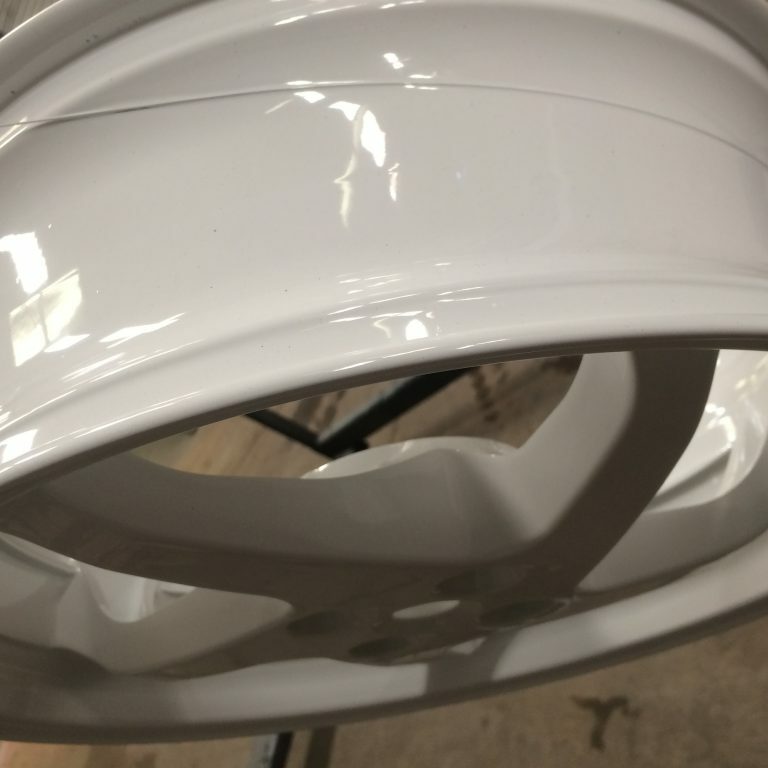 Notice no powder is in the inner portion. 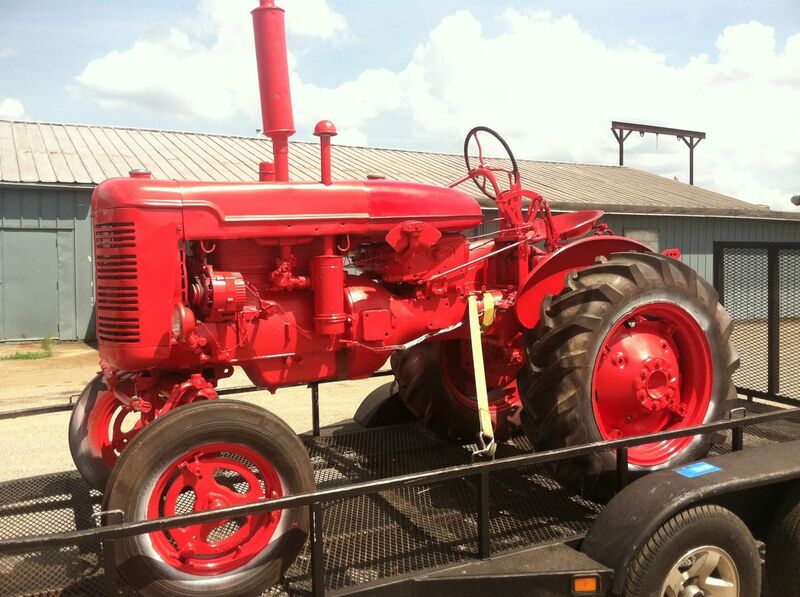 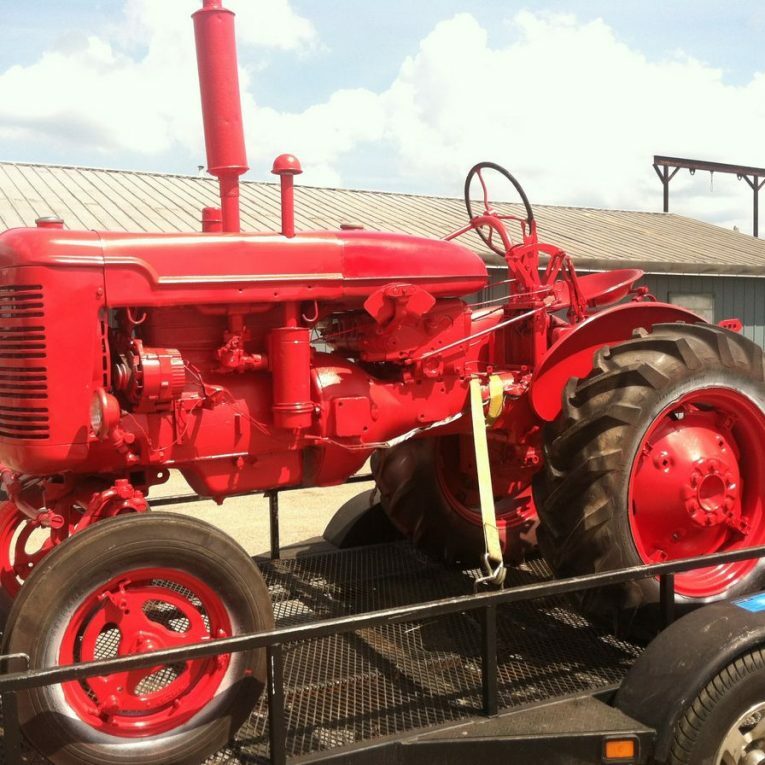 The tractor was sandblasted and painted red to almost new condition. 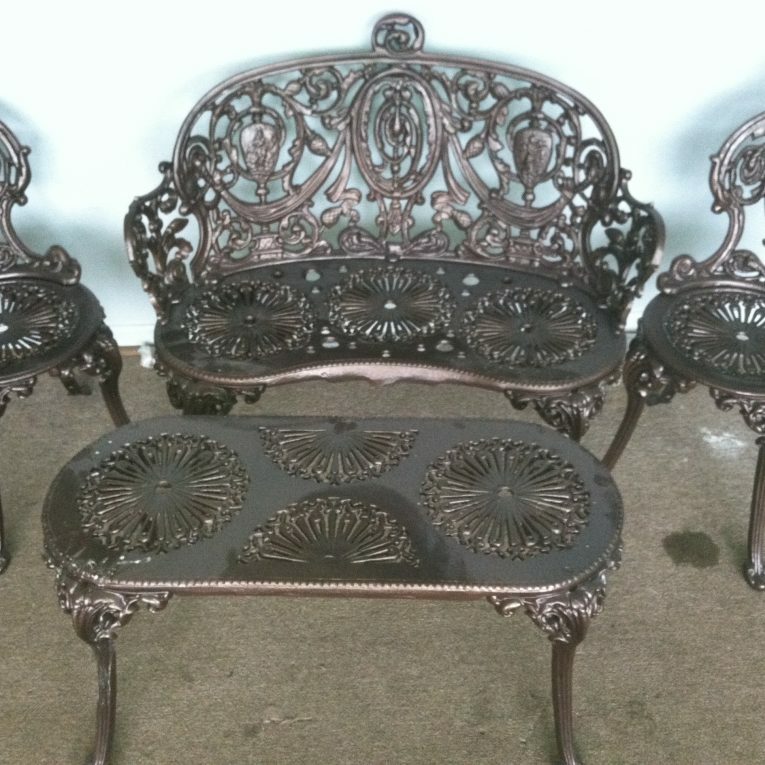 Granite tops were later added to these to make beautiful tables. 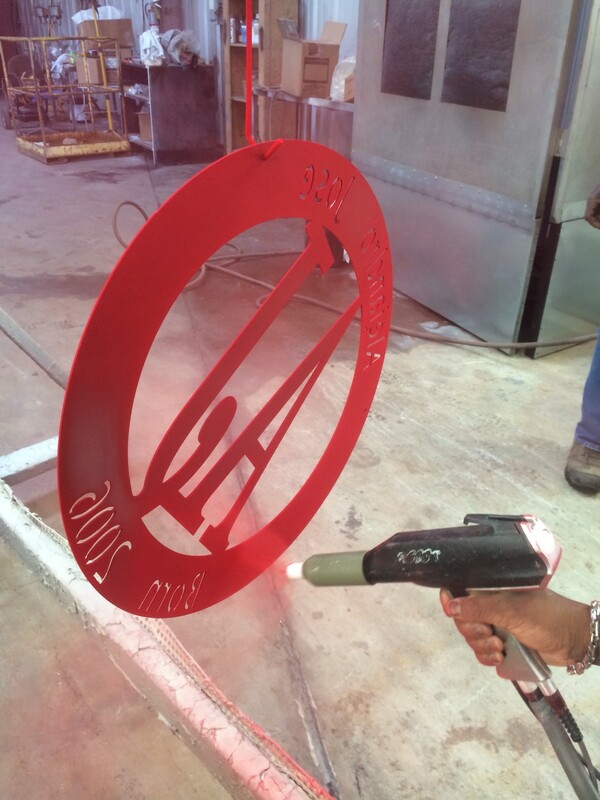 Custom monogrammed sign was fabricated and powder coated in our shop. 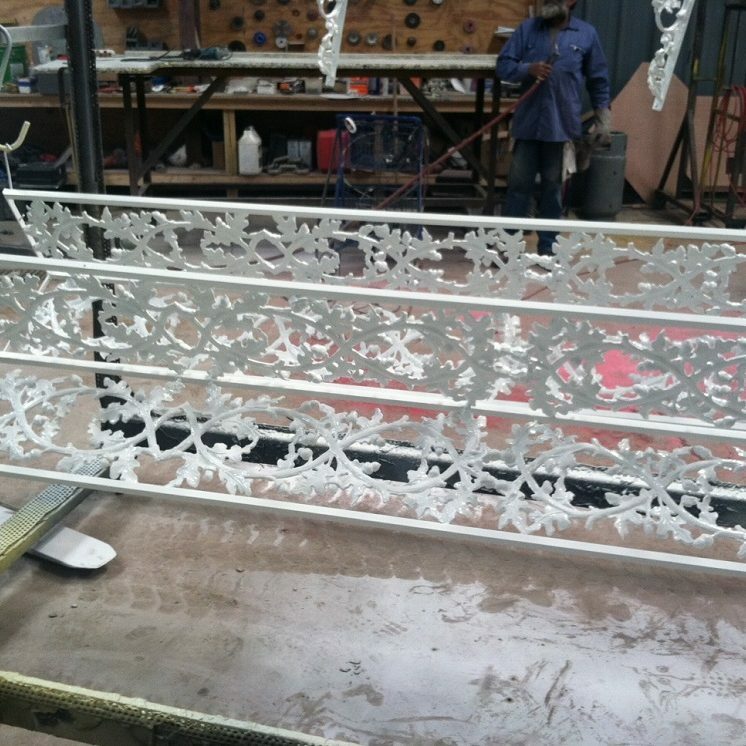 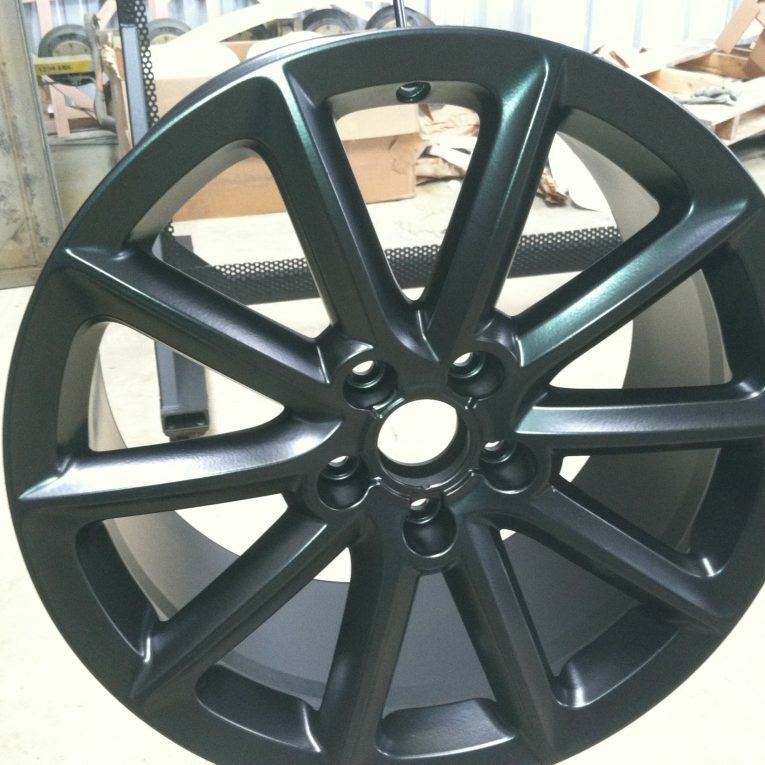 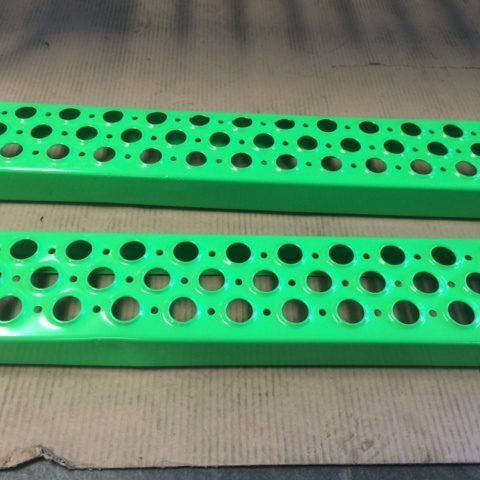 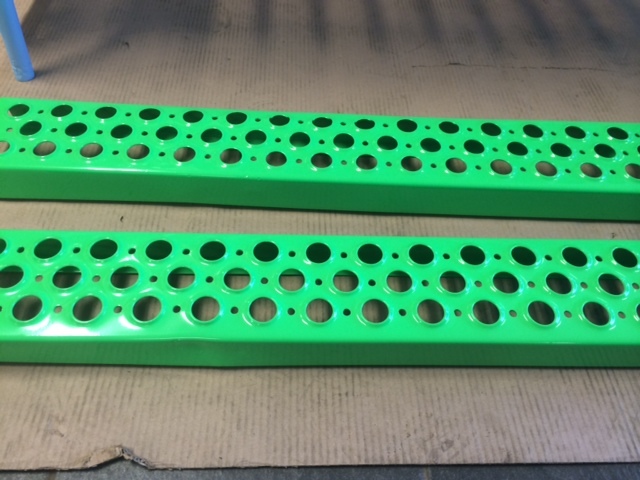 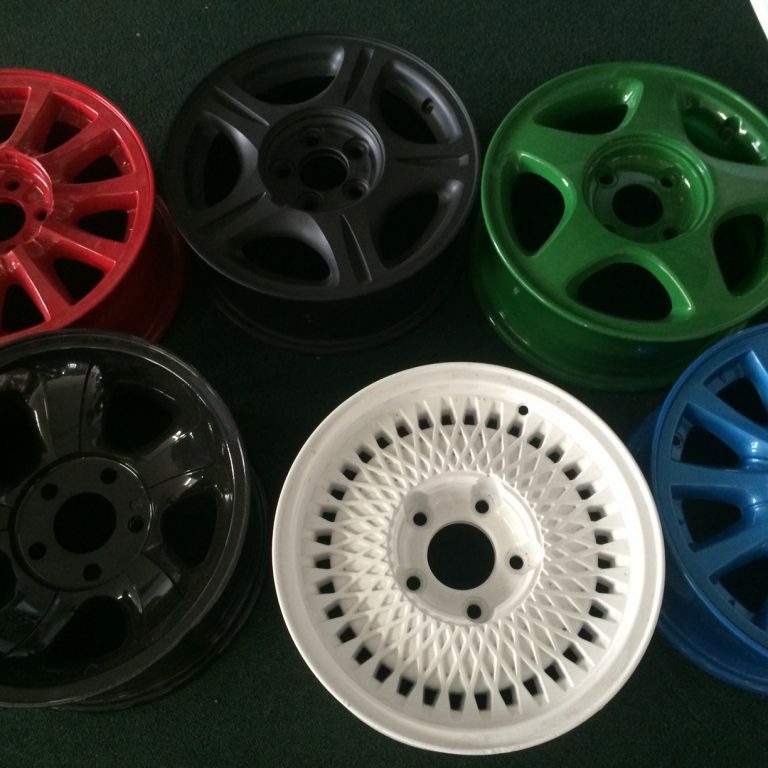 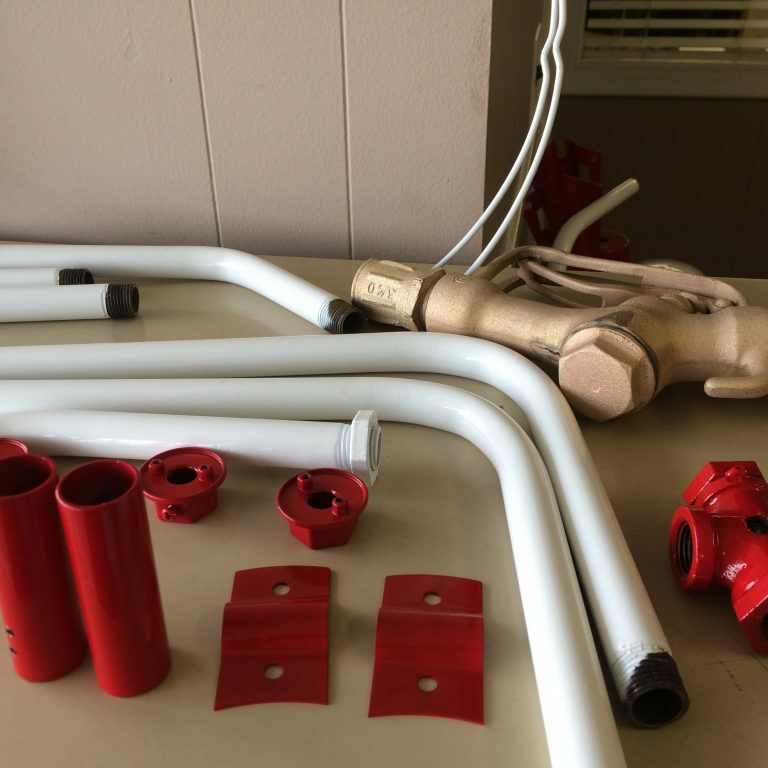 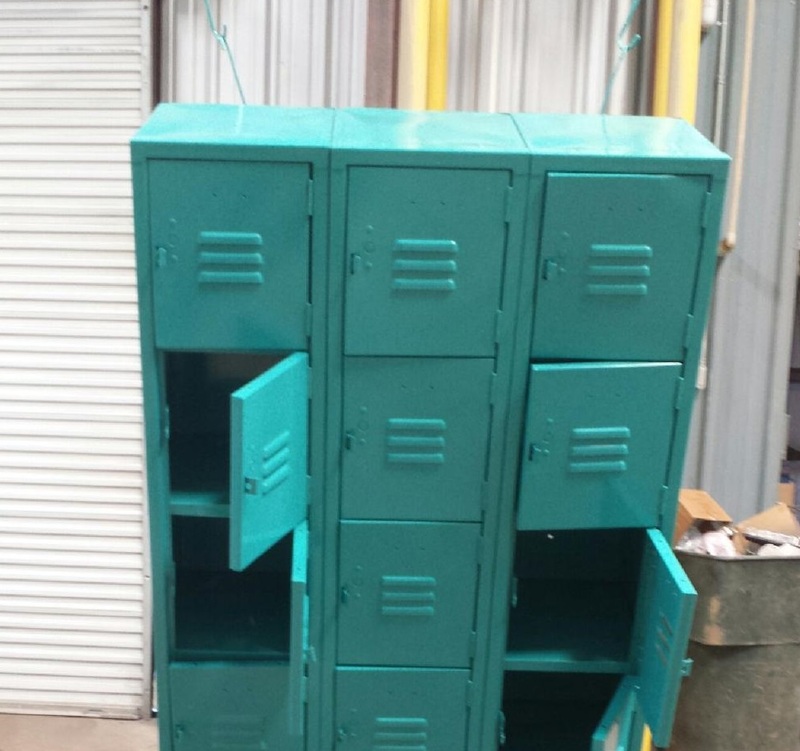 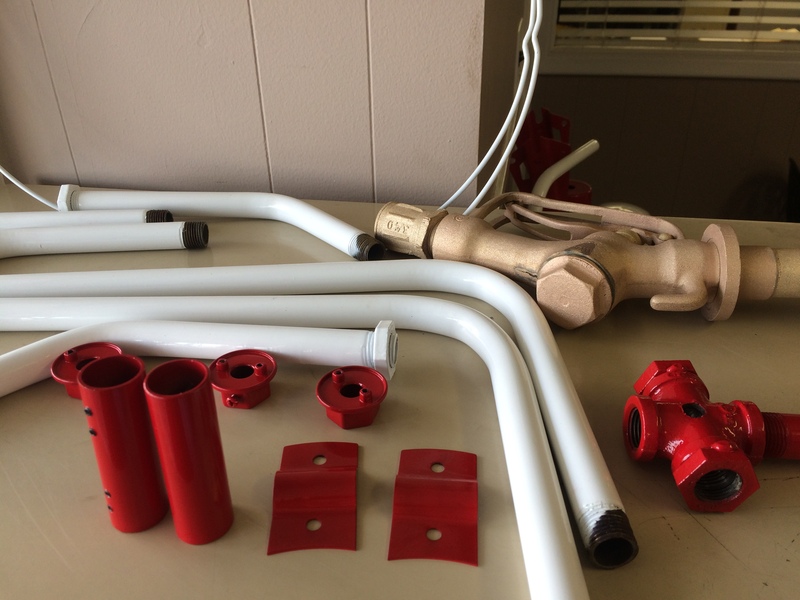 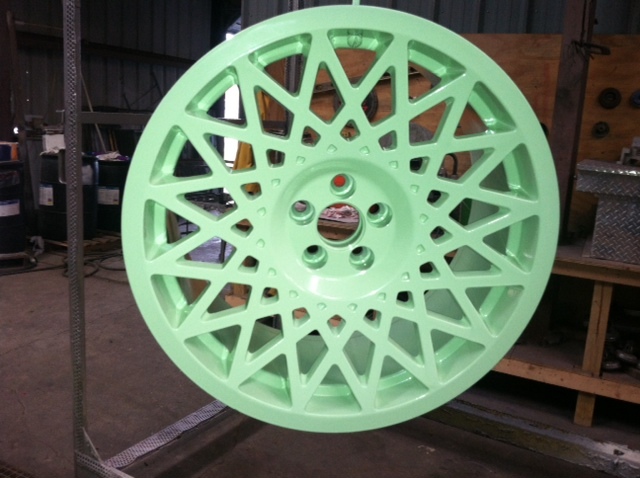 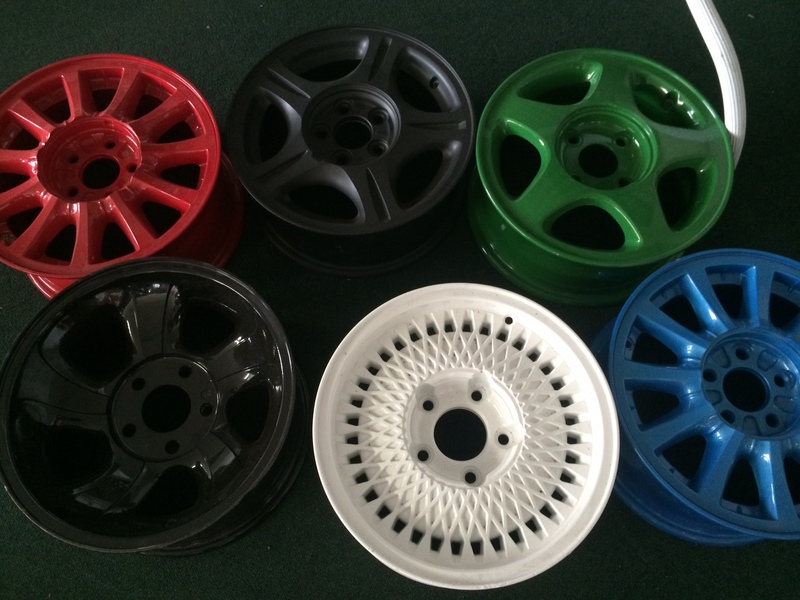 A variety of powder coating colors are available here. 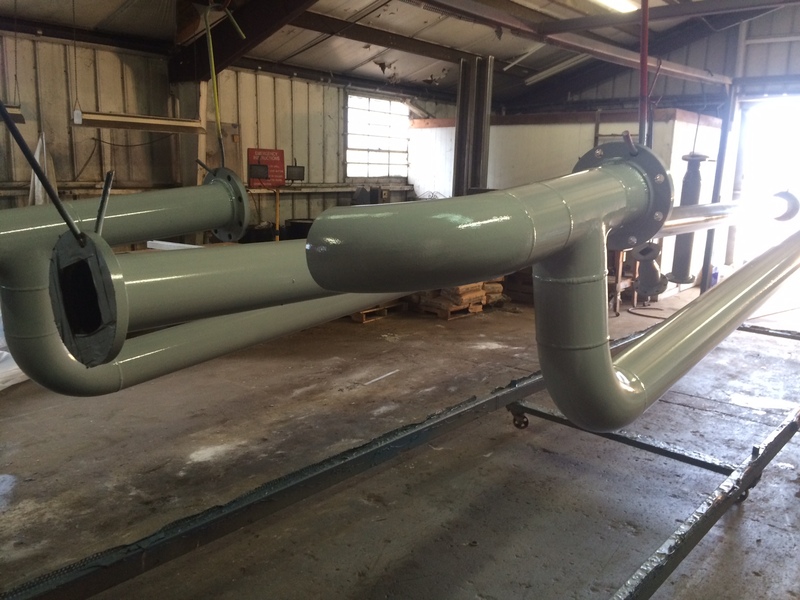 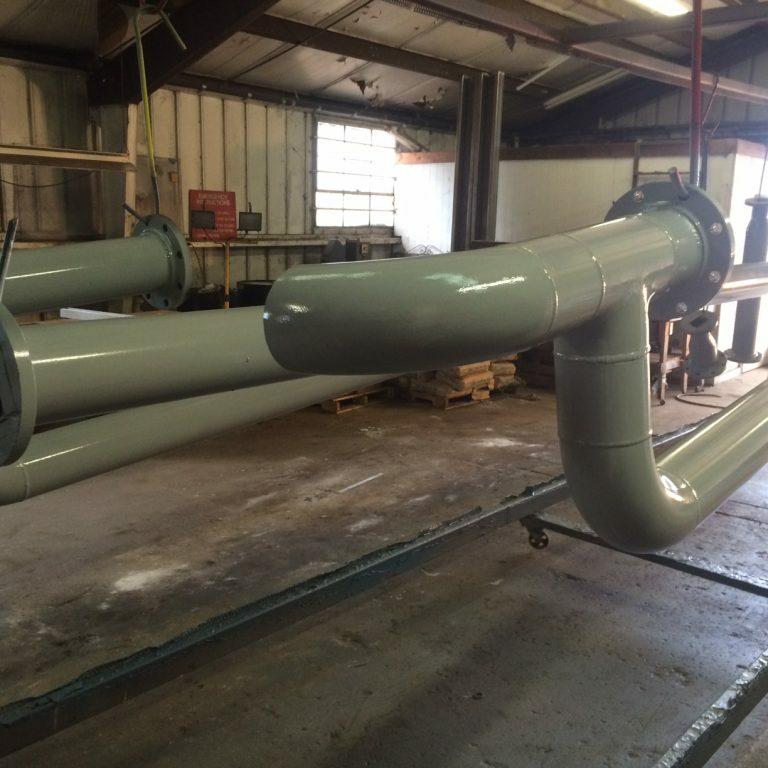 Pipe was fabricated and painted in our state of the art shop. 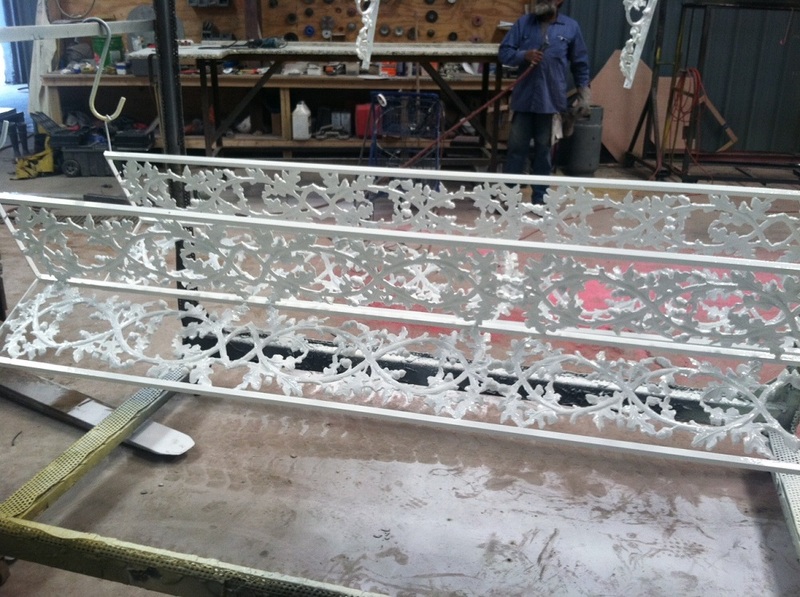 Up close image shows the detail of our work. 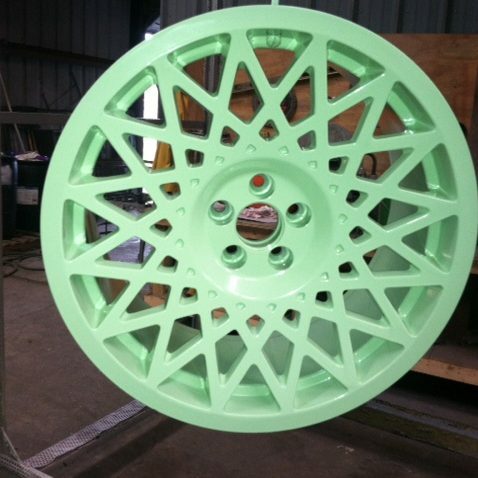 Powder coated Kromozone. 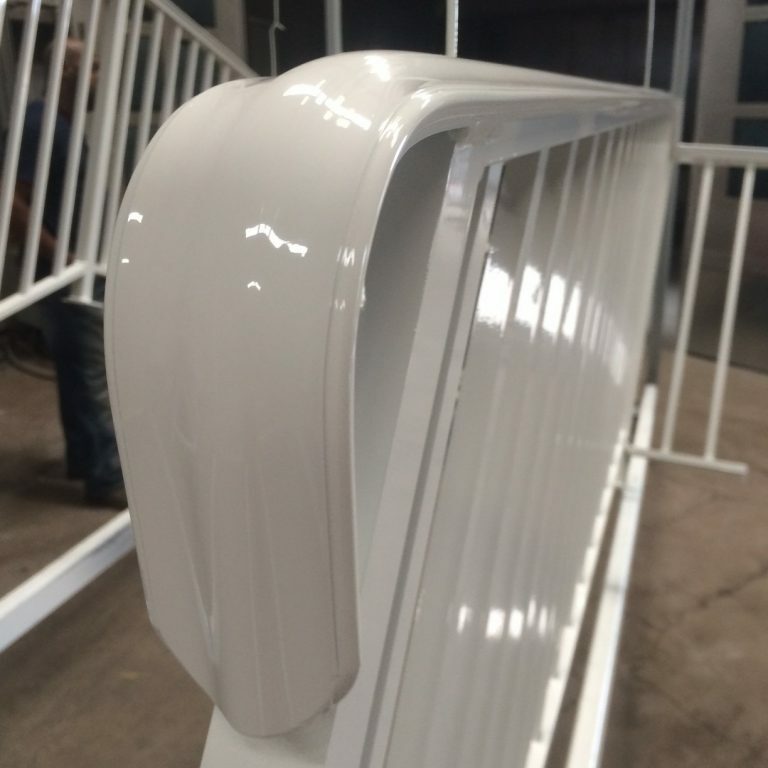 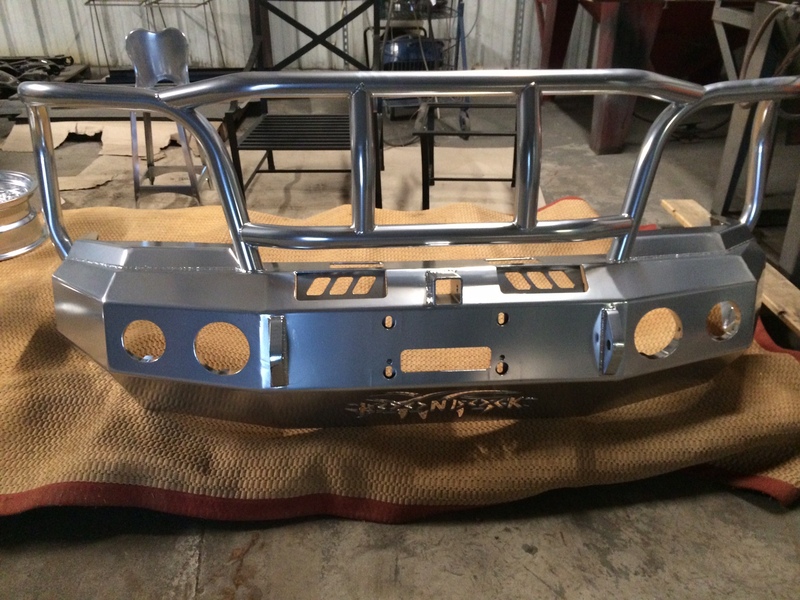 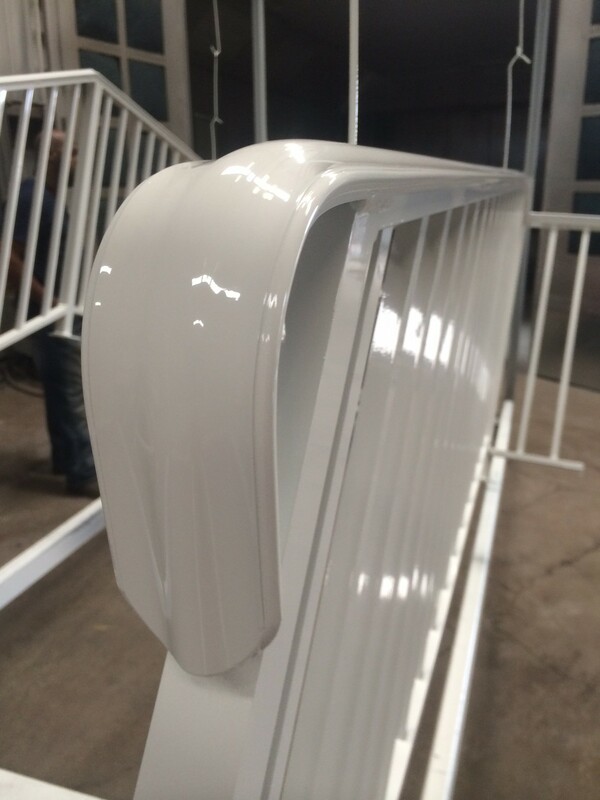 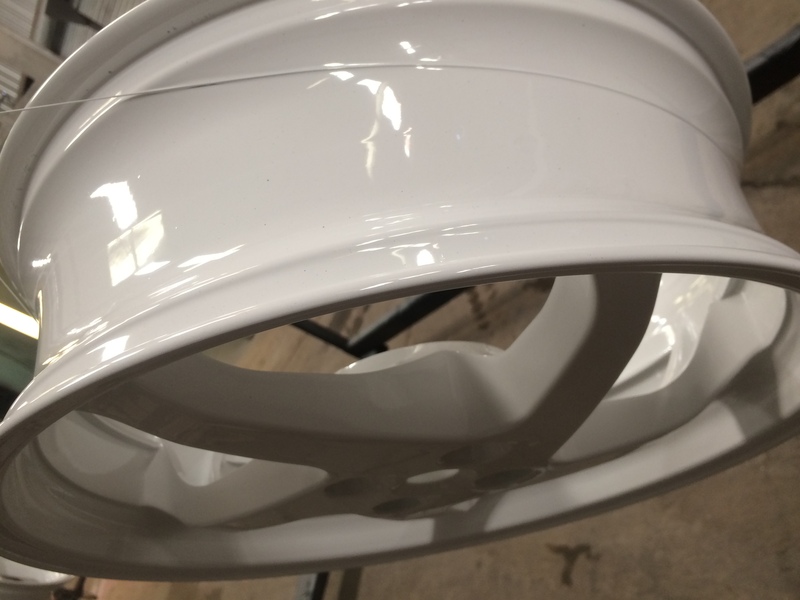 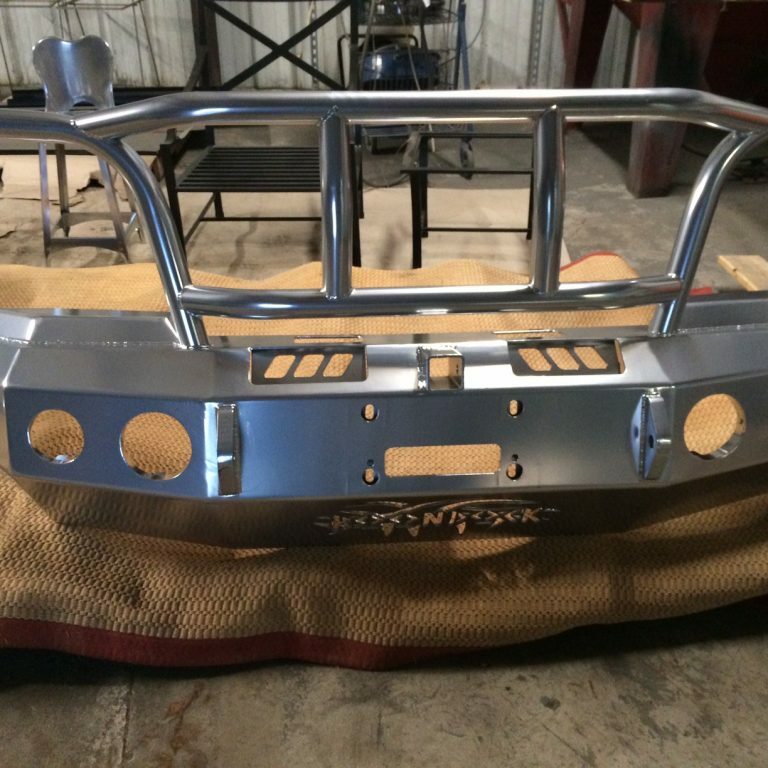 This is a cheaper alternative to chrome plating. 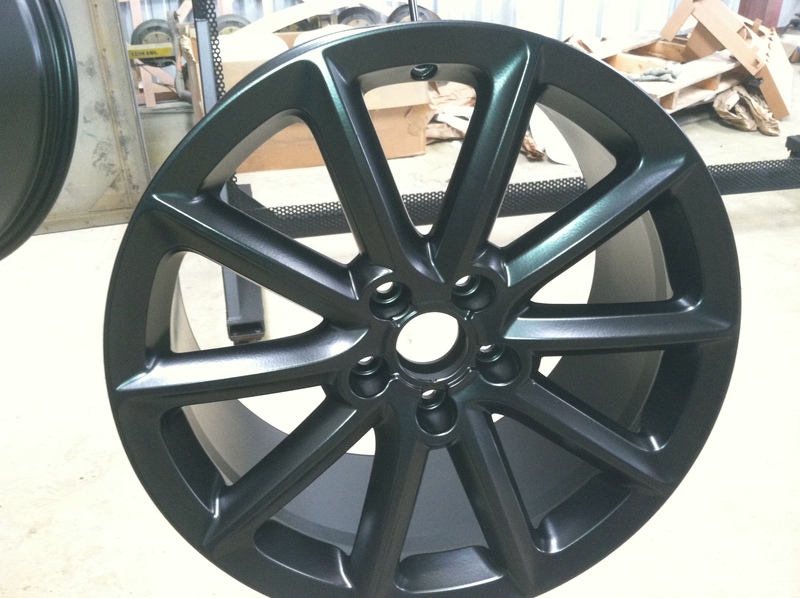 Powder Coated Texture Black. 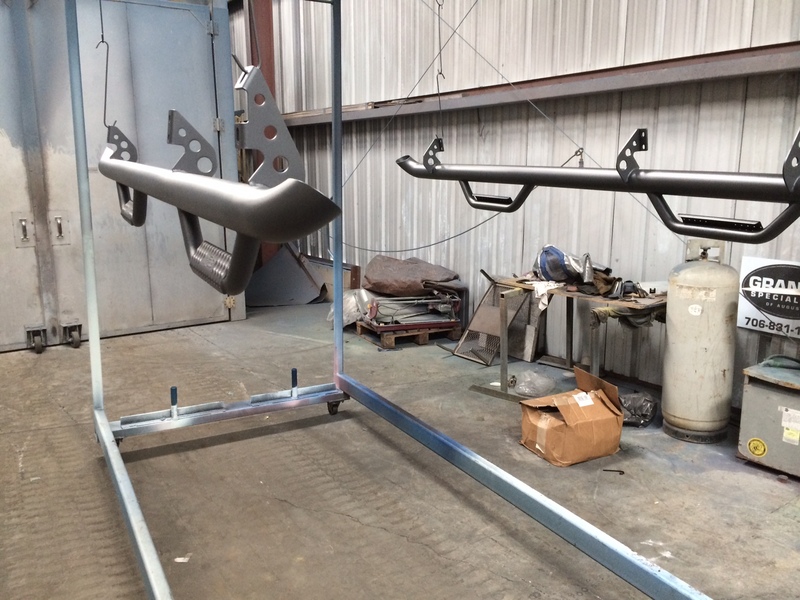 Texture coating reduces accidental slips when getting in and out of your truck. 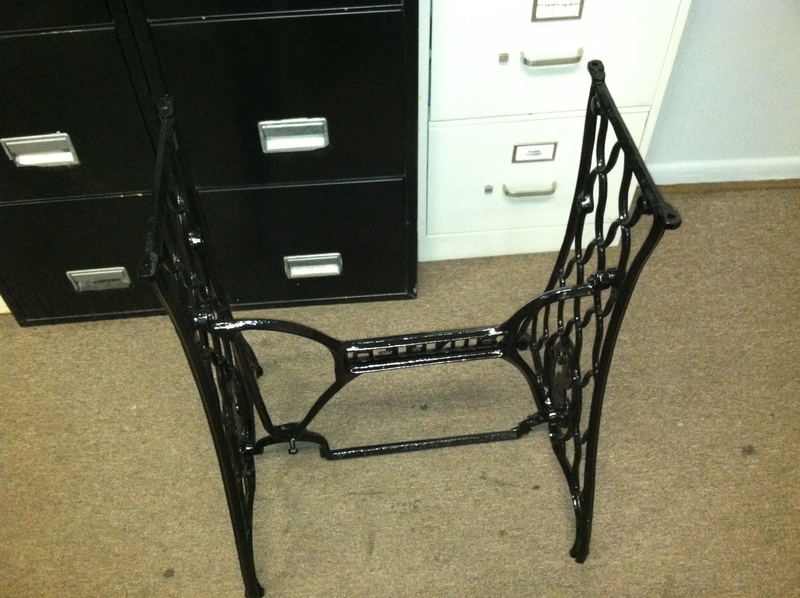 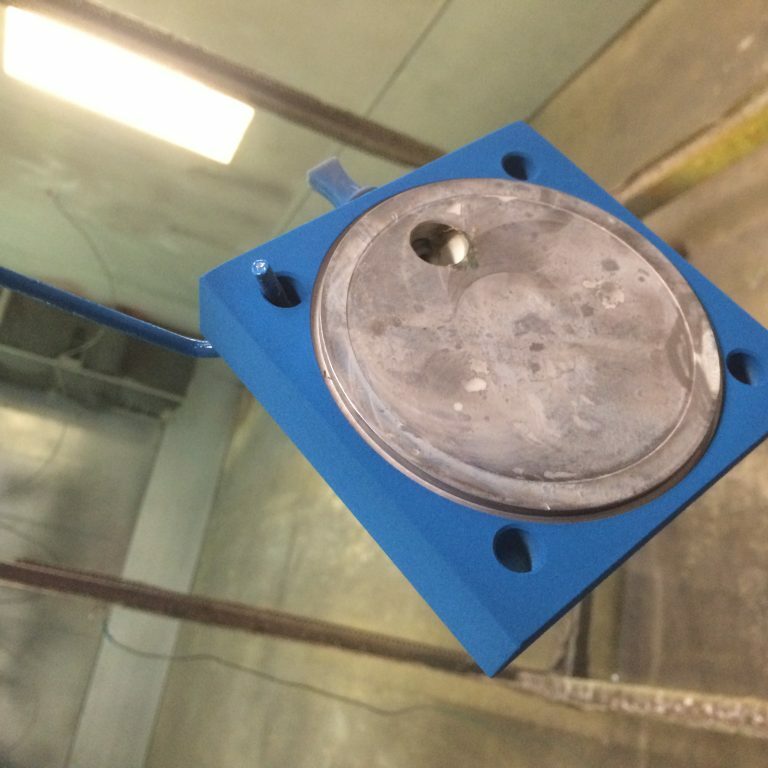 This frame was removed, sandblasted and powder coated OSHA safety blue. 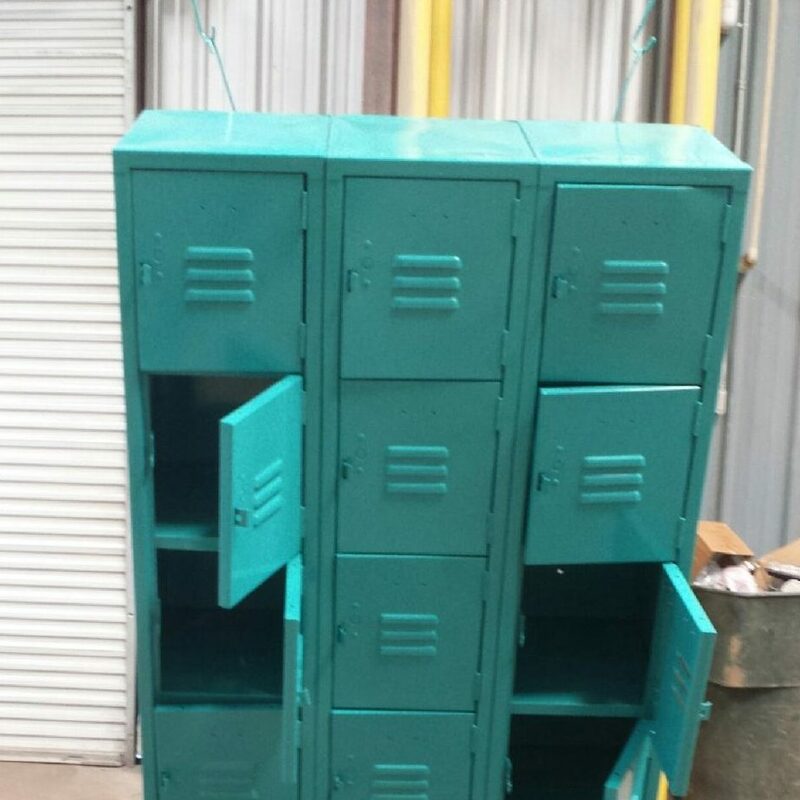 It was reinstalled at an industrial facility. 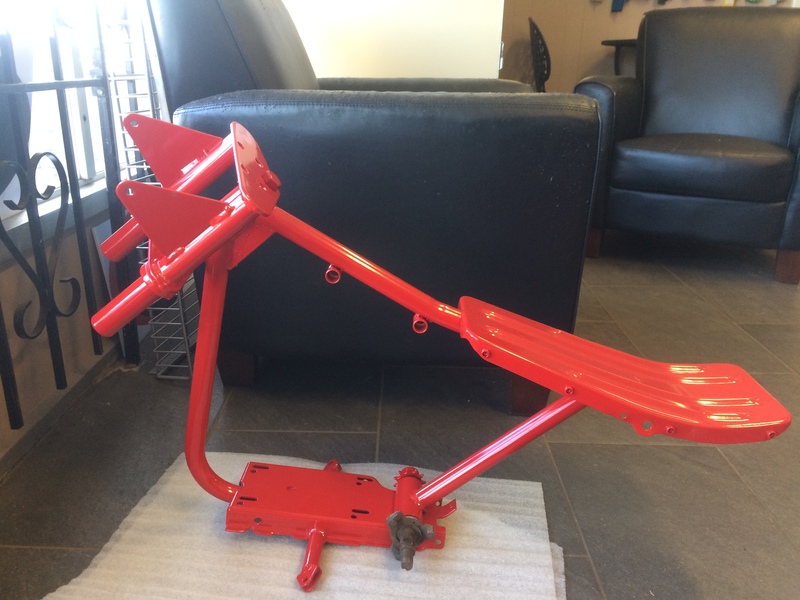 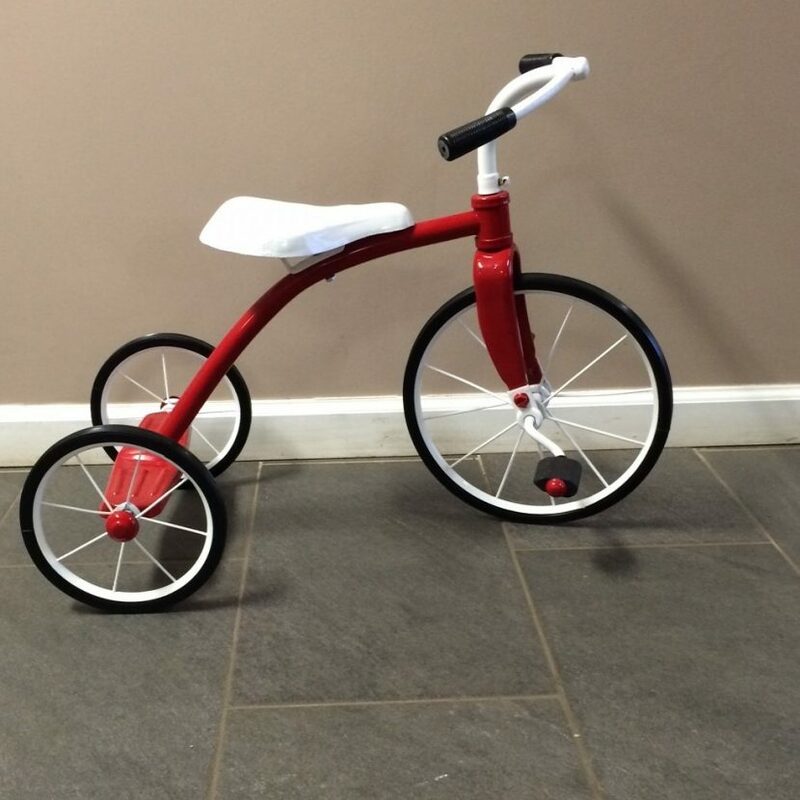 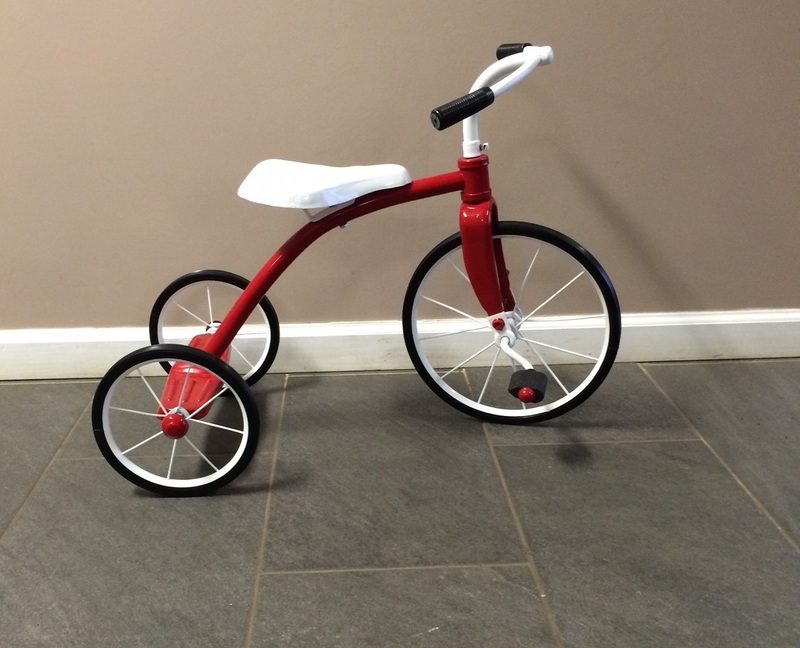 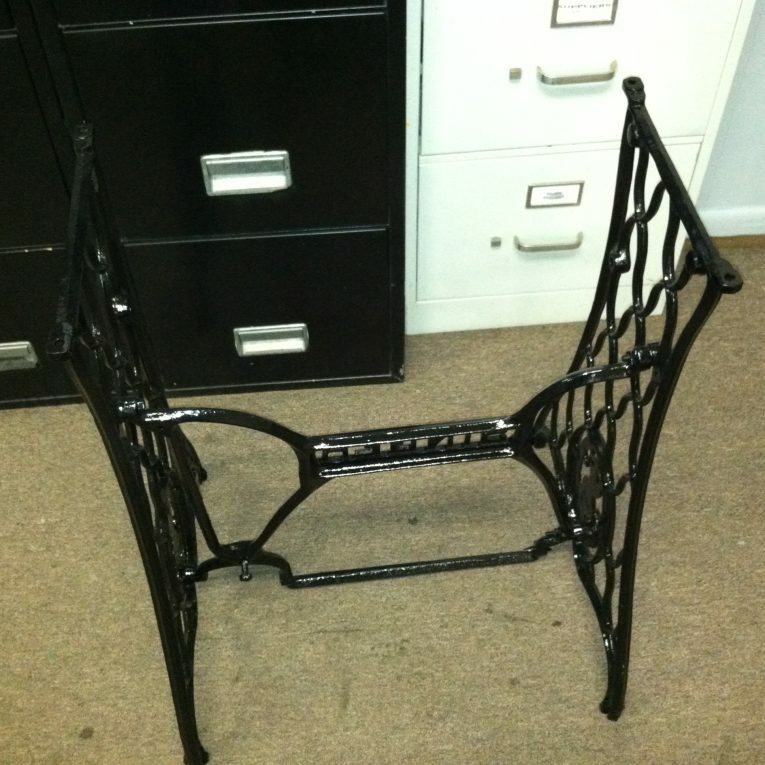 This is a small Mini Bike frame that a customer was restoring to a like new condition. 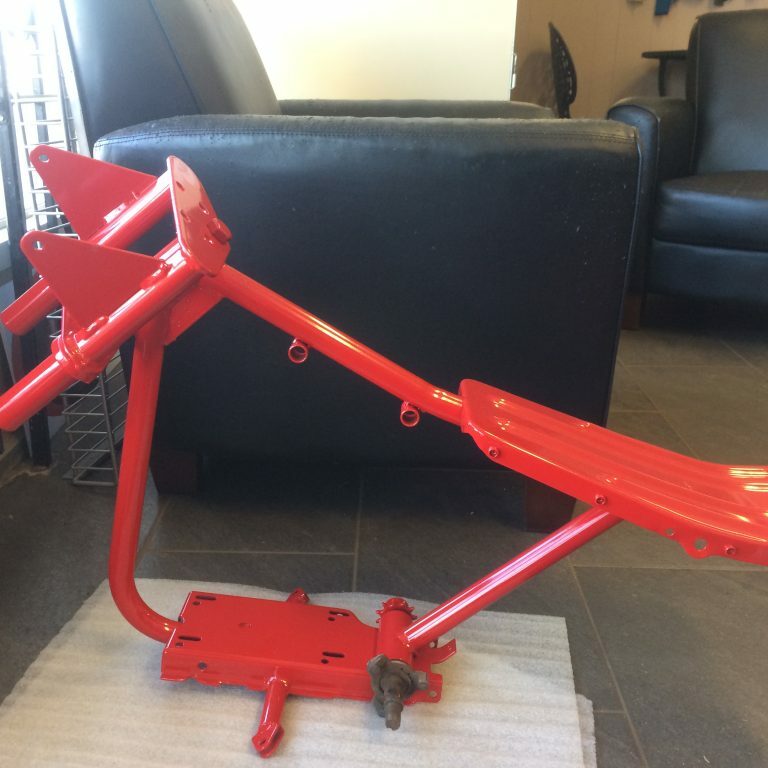 Here is the parts to an old Gas station pump.